I “cooked” for the second time tonight since having the baby! Too bad for my husband it wasn’t dinner. 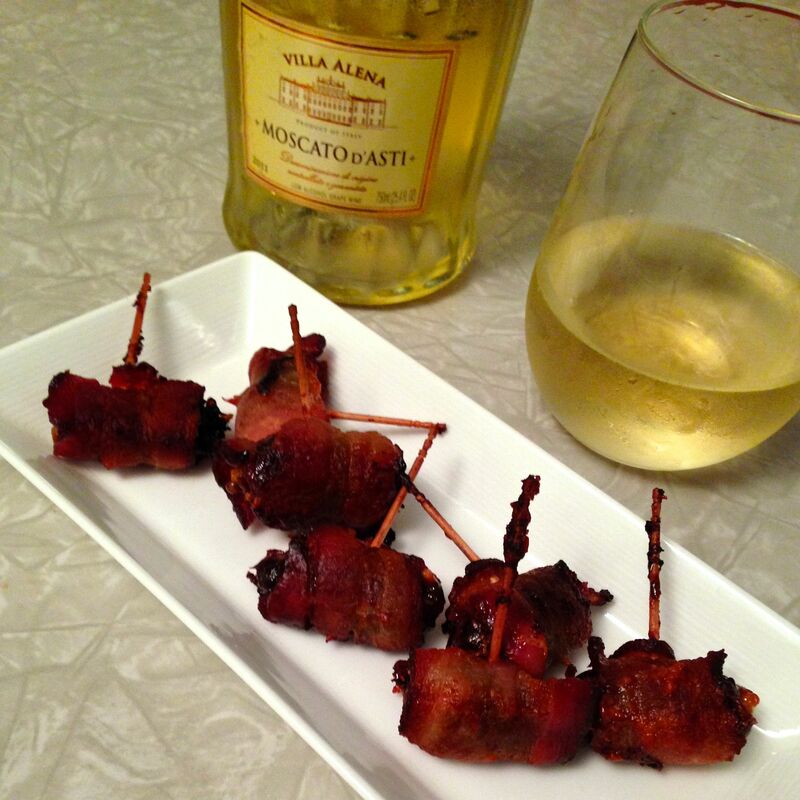 I had a craving for one of my favorite restaurant appetizers, bacon-wrapped dates, and had to make them. And then I just had to open the bottle of sweet bubbly I was planning on bringing to a friend’s this week. Preheat oven to 400°F. Slice the dates on one side and insert a small piece of cheese. Gently press the dates back together. Cut the bacon into thirds. Wrap a piece around each date and secure with a toothpick. Bake for 10 minutes or so in a pan or dish with sides, flip over and then bake another 10 minutes until the bacon is crispy. (Time will vary depending on the thickness of the bacon.) Place on a plate with a paper towel to soak up a little fat before serving. Variations: Add an almond. Try different cheeses. This entry was posted in Food, Restaurant Recreations and tagged easy entertaining. Bookmark the permalink.